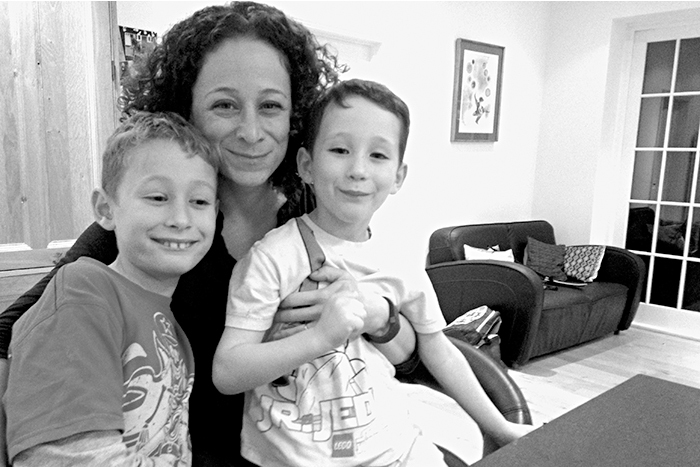 Jennie Drimmer ’99, sales director at a global firm, with her two sons, Ethan and Theo. Don’t leave the workplace, if possible. Ramping up is easier to do than starting afresh. The young baby stage doesn’t last forever, even if it feels like it. Make peace with your choices. I have taken a different career path because of choosing to work part time. Find a partner who will tag team with you on the juggle that working and raising children is; regularly revisit the balance between you to make sure it feels right.